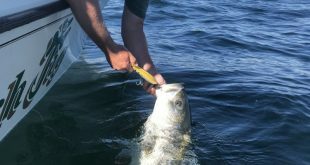 Over the last decade, we’ve seen electronics play an increasingly larger role in finding and catching striped bass. 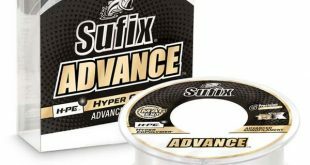 These new technologies have opened up fisheries that were previously a mystery, and helped anglers find bait and stripers they’d have otherwise missed. Here are some of the most significant striped bass game-changers over the past decade. Compressed High-Intensity Radiated Pulse (or CHIRP) became available in recreational sonars around 2009. 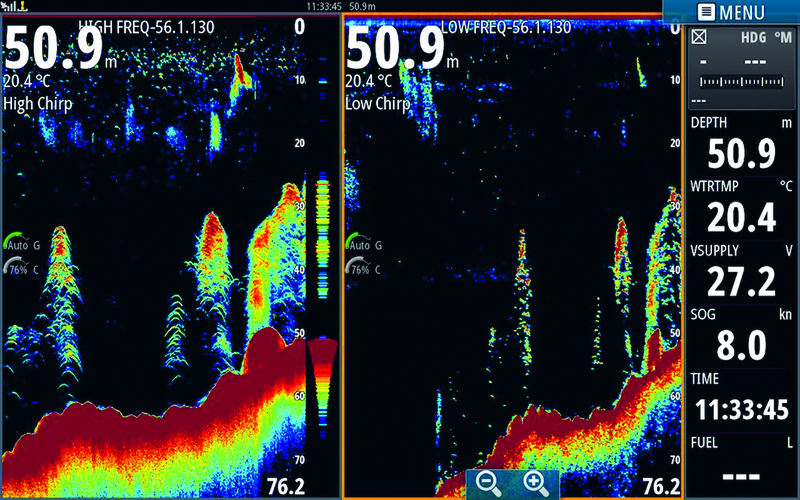 Instead of pinging a single frequency like traditional sonar, CHIRP sonar transmits a sweeping range of frequencies, which gathers much more information on each pulse, resulting in improved resolution and target separation. 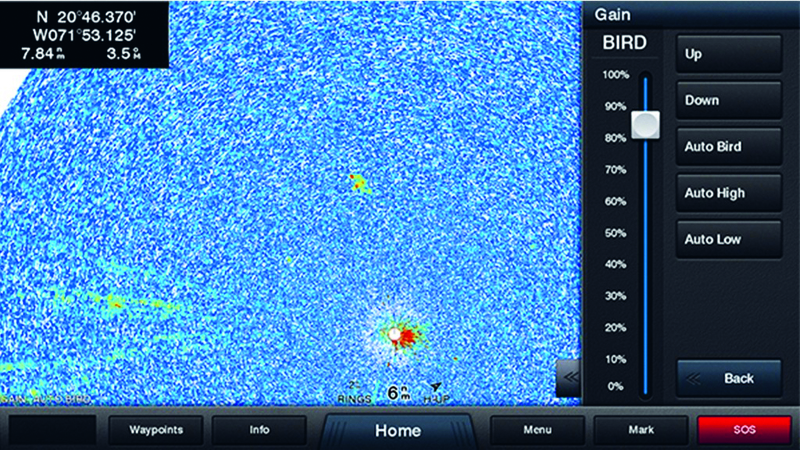 CHIRP also has improved bottom tracking at higher speeds, especially useful for fishermen seeking deep schools of bunker during the late fall in New Jersey and New York. While schools of bunker swim at the surface during the spring and summer, in the fall these schools run silent and deep, leaving no visible clues to their presence. And unlike some baitfish, which orient to structure, bunker schools are in constant motion, bringing the stripers with them. Being able to read the telltale red blob of a bunker school while running at high speed between structures has allowed fishermen to catch stripers away from popular structures and the bird-chasing fleets. Locating flocks of birds on radar was the stuff of rumor and legend 10 years ago; today, it’s become so prevalent that many manufacturers offer “bird mode” on their radars. This mode dials up the gain and reduces the clutter at the touch of a button, making it easier to find flocks over fish that are beyond binocular range (or locate nearby birds on foggy days). In the latter scenario, it’s wise to use a radar that allows for split-screen mode, with one set to search for birds and the other looking for boats to keep fishermen safe in the fog. Fishermen can now scan huge swaths of ocean for the blitz, as open-array radars have a bird range of up to 5 miles, while domes can reliably locate birds from 3 miles away. 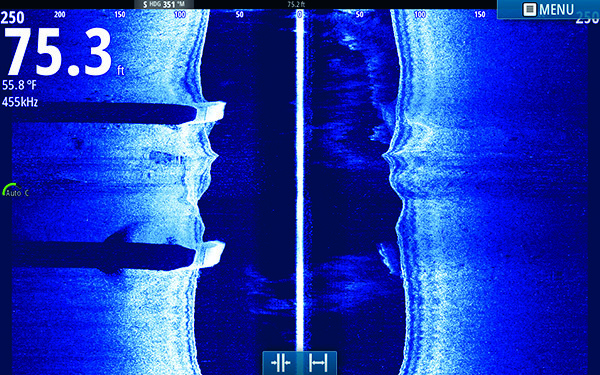 Side-scanning sonar allows you to cover ground and actively hunt for schools of fish. To fully grasp how side-scanning sonars have changed the way we fish for stripers, look at Cape Cod Bay. In late summer, it serves as a staging area for stripers preparing to move south at the first sign of fall. This sandy-bottomed bay has relatively little structure, and the bass movements were difficult to predict. Trolling tube-and-worm jigs or swimming plugs was the primary tactic used for locating staging schools of big stripers. 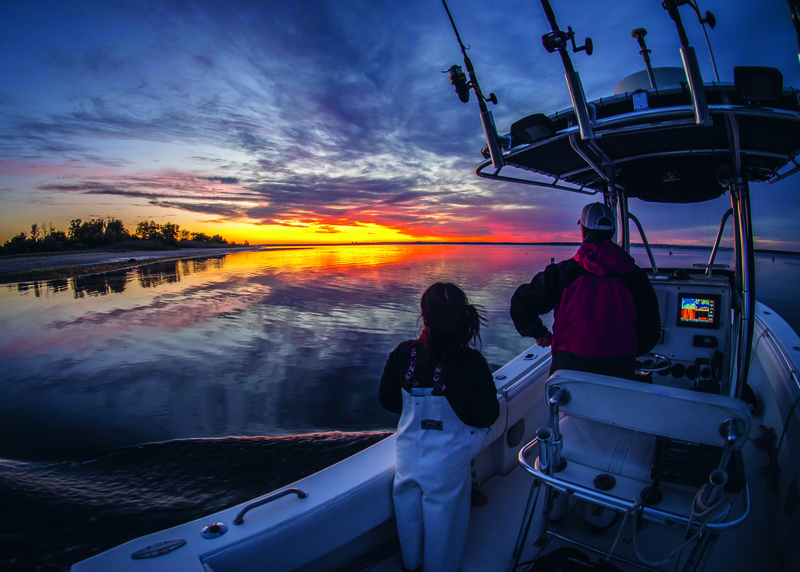 After dark, more daring anglers slowly putted along shorelines with their lights off, looking for large areas of “fire”—disturbed phosphorescent plankton—in the water to give away the location of a striper school. Not only was this method inefficient, it was terribly unsafe. 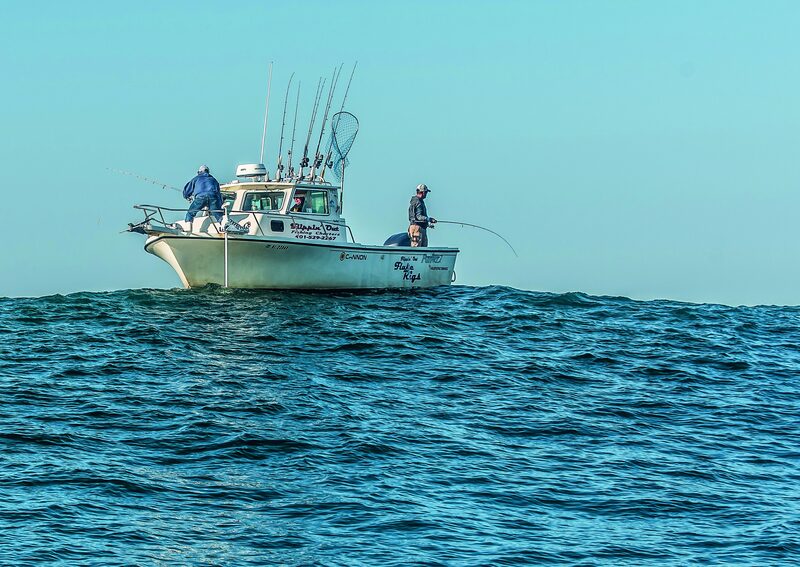 Around 2012, with the introduction of side-scanning sonar, fishermen could monitor wide swaths of water, 200-plus feet on either side of their boats, in order to locate these schools of stripers. 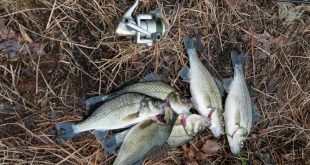 While the bass still moved unpredictably, fishermen became more efficient in searching for them, and catch rates skyrocketed. The ability to “anchor” your boat without having to drop or pull an anchor allows fishermen to check more spots with greater efficiency. While bottom fishermen immediately saw the potential for picking apart wrecks and reefs, striper fishermen later began using this technology in rips and around bridges, areas where it is unsafe to drop an anchor. GPS-connected trolling motors are a great alternative to dropping an anchor. GPS-trolling motor connectivity allows for hands-free navigation, both in a straight line or following a predetermined path, all while correcting for wind and current. 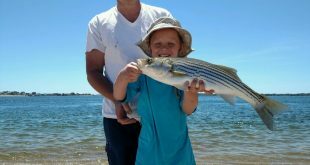 Striper fishermen have just begun to explore this potential by using it to work shorelines or follow schools of bait and fish, or even to slow-troll live baits.